Known as the south most city in the United States that is still connected to the mainland, Florida City is one of the more unique areas of the Miami-Dade County. Serving primarily as a suburb, the city also boasts a large amount of agriculture, something that is rarely seen at least in the area of Miami itself, and so far south of the mainland. Dotted with many hotels and tourist facilities, it boasts a large population of eleven thousand people as of 2010. Demographically it is made up of mostly African-American and Hispanic residents, totaling at fifty-two and forty two percent respectively, with only five percent consisting of Caucasian residents. All of these provide fun that the whole family can enjoy, while at the same time showing off the unique and startling wildlife that calls the Everglades its home, certainly something that can only be found in a town that is so near the Everglades. All these wonderful attractions also come with the responsibility to reasonably keep you and your family safe while you’re there. That promise is extended to you the moment you set foot within the bounds of the property. Should you find yourself in an incident showing that the promise of safety is not kept, please do not hesitate to call the best Florida City slip and fall lawyers that you can find. 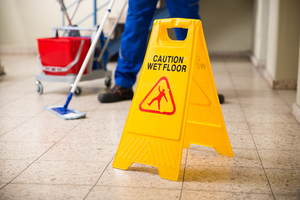 Once we file a lawsuit in Florida City involving your slip and fall case, we’ll focus on getting a court date. Doing this will begin mediation and force both parties to start going to settlement conferences. Each case is treated as if we’ll be going to trial, ensuring that the other side knows just how serious we are in getting you what you’re owed. This not only enhances your negotiation position but makes the defense attorney and insurance company understand that you are serious about your case. This is the best way for you to get a realistic offer for compensation, although we will not agree unless you are happy with what you’re given. Should we not be able to settle everything through mediation, then we are prepared to fight for you in court, and if required of us, to appeal the case. Once you call the Wolfson Law Firm, we are prepared to fight with you to the end. We’re committed to making sure that you’re given your fair time in court, to seek justice for the damages that you’ve suffered. The Miami Personal Injury Lawyers at Wolfson Law firm are more than prepared to fight for you. Mr. Jonah Wolfson, the managing attorney for the firm, is a bilingual personal injury lawyer in Miami. He and his legal team are standing by for your call. Be sure to take the time to take back your life, and call at (305) 285-1115.